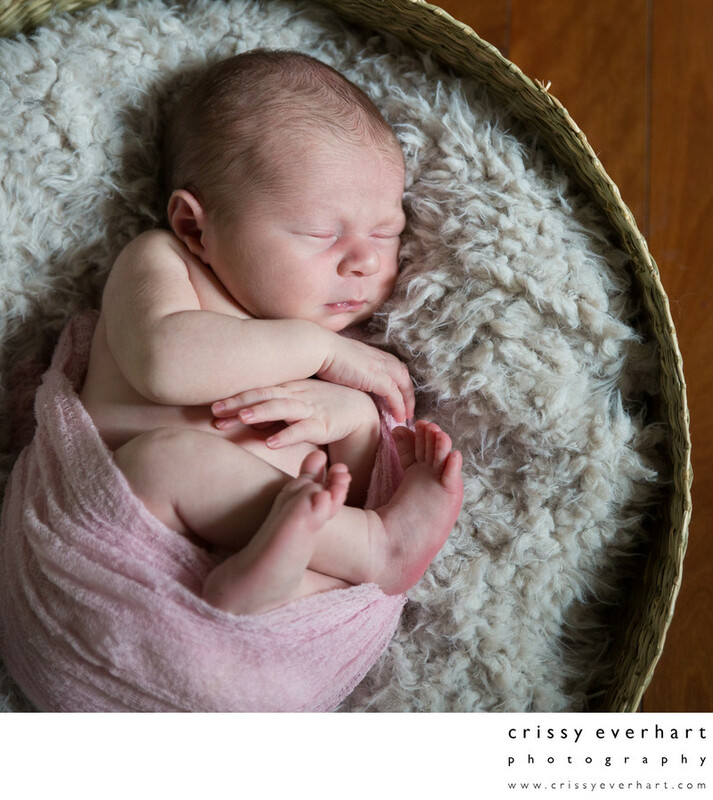 Newborn baby girl in basket on fuzzy blanket. She is wrapped in a swaddle but her arms and feet pop out, showing off those cute piggy toes!! Location: 690 Sugartown Rd, Malvern, PA 19355.